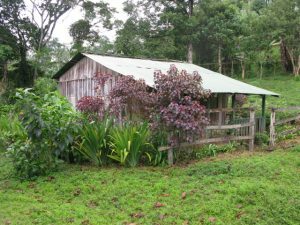 Following is a nice combination of things to do in Jinotega. There are several natural reserves in the area. Another activity of interest is a visit to coffee farms. 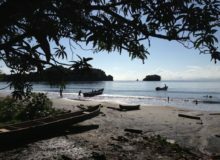 In addition, the possibility of adding some community based tours is a real possibility and gives you the opportunity to experience the lifestyle of rural Nicaragua. 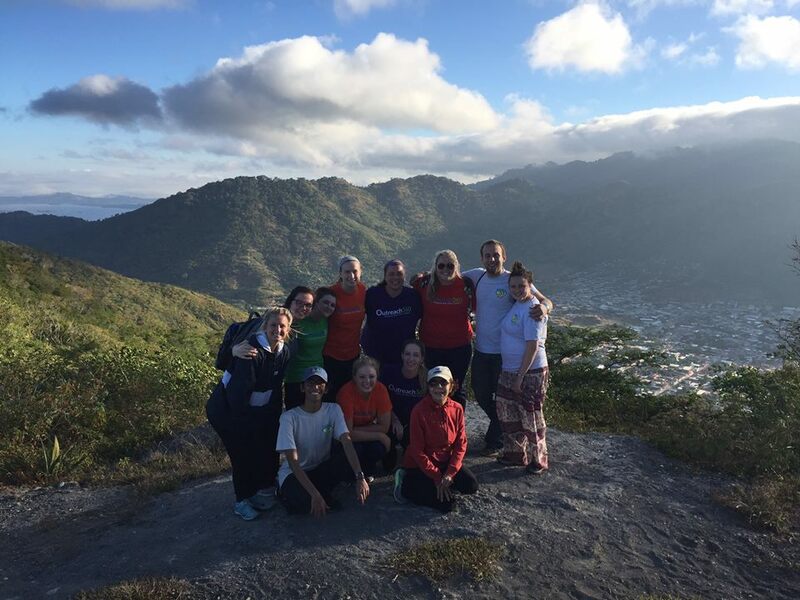 Following is a list of the top things to do in Jinotega that we recommend! This unique reserve offers a combination of tropical cloud forest and coffee farms. Also, a network of trails interconnects 4 different communities. Since each community has lodging options, a hiker can enjoy several days in the reserve! Magnificent views, cool climates and friendly people will provide for an experience that you will cherish. 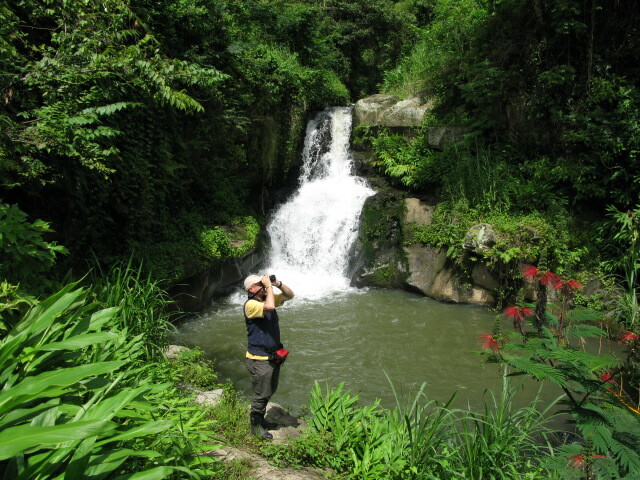 Datanli El Diablo Reserve has an important number of endemic species living within it. You will be amazed by the abundant bio diversity of the area. 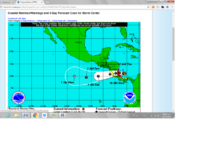 The reserve is about 135 Km from Managua, halfway between the cities of Matagalpa and Jinotega. Datanli El Diablo offers one of the largest selections of things to do in Jinotega, The easiest access is via the community of La Fundadora, where you can find guides, lodging and food. 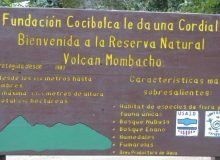 For complete information, reservations and tours to La Fundadora, contact Matagalpa Tours. 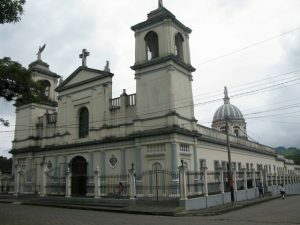 They are located in the city of Matagalpa. For more information Email: [email protected]. 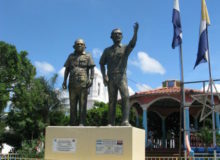 Their web site is www.nicaraguatravels.net. Telephone: (505) 2772 0108. If you wish to have a guided tour from Jinotega, contact Apanas Tours at Email: [email protected] or [email protected]. Their web site is www.apanastoursjinotega.com. They are located in Jinotega, and their Nica address is: De gasolinera UNO 3 ½ cuadras al norte, Jinotega. I suggest you contact Felipe Zeas Rivas at Tel: 505 8403.4617. They can arrange either a one day tour or a multi day expedition to the reserve. Perhaps one of the highlights on the trails around Dantali El Diablo Reserve is the La Bujona Waterfalls. Not only is the site truly beautiful, it also has a lovely swimming hole at the bottom of the fall to cool off after the hike to get there! Early Morning at La Fundadora. The promise of a great day in nature and with the community! 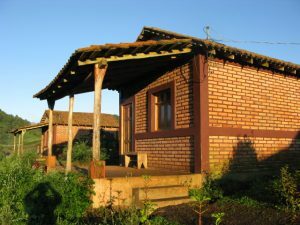 At the community of La Fundadora you can actually stay overnight at the community owned Albergue La Fundadora. They have some really nice cabins with a private bathroom, a comfortable bed and a nice small porch in front of the room. 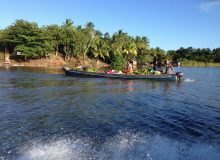 Apanas Tours is the best option to reserve a room here, since the phone communication is still somewhat sketchy at La Fundadora. The area has a series of trails, one of them is the Sendero Los Numeros, which will take you on a hike through some thick, remnant tropical rain forests, give you outstanding views of the valley and allow you to see some of the old ditches that were dug during the war to defend the community. During the Sandinista Revolution this was the site of some fierce fighting. The hacienda actually belonged to Somoza and was known as Hacienda Somoza! If you visit La Fundadora, make sure you leave a bit of time to visit the waterfall that is within the community, just a few feet below the bridge entering the village! 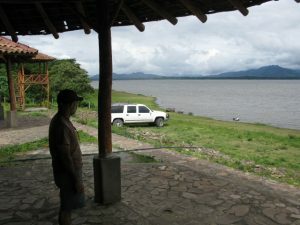 On the opposite side of the Reserve, near the Apanas Lake you can visit the community of El Gobiado. This community offers some outstanding bird watching opportunities. There are some basic lodging options here, with a private cabin as well as a dorm facility. The dorm facility has a cost of $10 US per person and the private room is worth $15.00 US per person. Rodrigo, the local guide at El Gobiado is very good with bird watching. Because of its geographic location, El Gobiado is outstanding for this activity. You can see highland birds, as well as Pacific and Atlantic lowland birds here. It is probably the best spot to sight the elusive bell bird in all of Central America! Three different species of toucans can be seen here: the Collared Aracari, the Keel Billed Toucan and the Chestnut Beaked Toucan! Another common species is the Highland Guam. During the months of February and March the elusive Resplendent Quetzal is also seen in this area. If you are into birding, but prefer more comfortable accommodations, La Bastilla Eco Lodge is nearby and offers very nice rooms with fantastic views and access to trails within the coffee finca that surrounds the lodge. The 4 kilometre long El Abuelo Trail connects with La Bastilla Eco Lodge. For information about the birds and hiring the best birding guide in town call Rodrigo at (504) 8844 0024. Keep in mind that he is not fluent in English though! 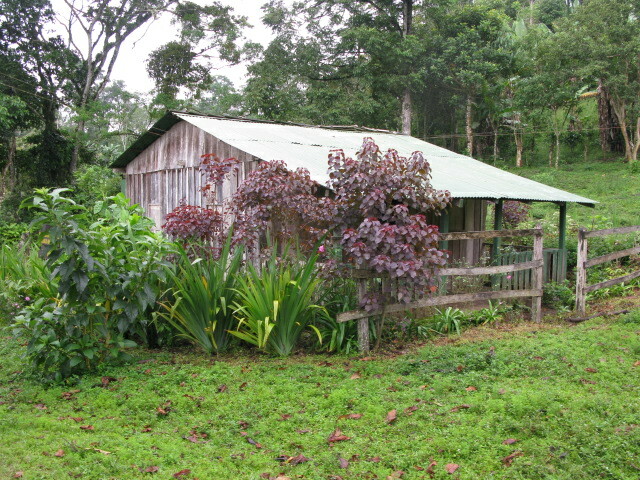 El Gobiado is located about 50 minutes away from Jinotega by car. Quite close to El Gobiado you will come across the Comedor Linda Vista. Not only can you have a good meal here, you can also enjoy a fantastic view of the mountains with Apanas Lake in the background! Apanas Lake offers a great alternative for kayaking and birdwatching. The lake has cool waters because of the altitude at which it rests, and is great for fishing, with perch and tilapia your most likely catches. The lakeside community of Sisle offers a nice area where you can hire a guide for a pleasant kayaking tour in the lake. You can also hire a motorboat to give you a faster tour of the lake. There are several comedores where you can have a good lunch during your trip here. 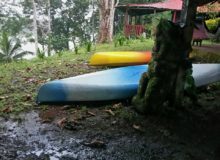 If you like fishing and kayaking, this is certainly a must on your list of things to do in Jinotega! San Rafael del Norte is a small community about 25 kilometres North of Jinotega. This town was the base of operations for the National Hero, Augusto Sandino. 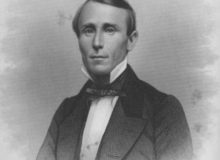 Back in those days, he was fighting against the US Marine intervention in the first half of the XXth century. This is without doubt a great option for things to do in Jinotega, especially if you are interested in learning about the history of Nicaragua. The Canopy at La Brellera is one of the safest in Central America! If you are in search in adventure, and need to pump some adrenaline through your body, take a visit the Canopy Tour La Brellera, which is only 4 Km. from San Rafael del Norte. Here you will zip through over one mile of cables within the pine forests of Jinotega. The service is outstanding and the equipment they use is top of the line. You will enjoy your adventure with safety and professionalism. 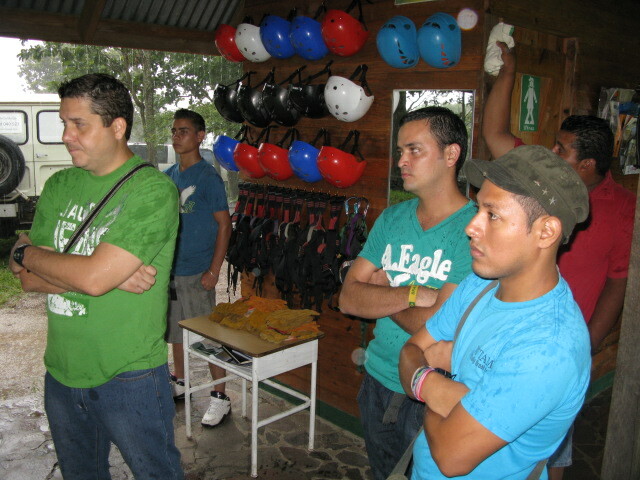 They are one of the first canopy tours in Central America to use a double cable to insure your safety! They have bilingual service and the setting is very nice. For more information on this Canopy Tour, check their facebook page: canopy tour la brellera, or E-mail them at [email protected] To call them, (505) 2784 2356. You can spend the the night at San Rafael del Norte. The best hotel in town is the Hotelito San Payo. They have some very nice, comfortable and clean rooms. They also offer some good pastries at the coffee shop at the entrance to the hotel. The hotel owners and administration are extremely friendly and a great source for local information. To contact this hotel E-mail [email protected] or call (505) 2784 2327. Jinotega is famous, both within Nicaragua as well as around the World, for its coffee. The climate and altitude of the mountains are perfect for the production of this aromatic crop. I thoroughly recommend that you not only purchase some good Jinotega Coffee, but also visit one of the coffee farms located in the area. Apanas Tours, E-mail: [email protected],www.apanastoursjinotega.com offers visits to several different fincas, including the Finca Ecoturistica Kilimanjaro and the Finca Los Papales. Both of these farms hold different prizes and recognition for the quality of the coffee that they produce. Los Papales is very close to town. Kilimanjaro is about 35 Km. away, which is a short trip from Jinotega. En route you will enjoy the scenic countryside. Magnificent view from La Cruz de Jinotega. Located on the mountain top, towards the east of Jinotega, you will easily see a massive cross. This is anf an important pilgrimage site that takes place on the 3rd of May every year. This is when the Catholic Church celebrates the day of the Holy Cross. The cross sits over 300 meters, (1000 feet) above the city. It can only be reached by foot. The trail that leads up to the mountain starts from the main cemetery in the city, located only 3 blocks from the Central Park. The view is fantastic from here; however the hike up to the top is a true chore! Most of the trail is a plain, simple path, however part of it has actually been improved with cement steps, making the ascent a bit less slippery in the rainy season. If you are game for the hike, make sure you bring some water with you, as there will be no place for you to get any along the trail! This activity is number one on the list of things to do in Jinotega if you are interested in a good workout! 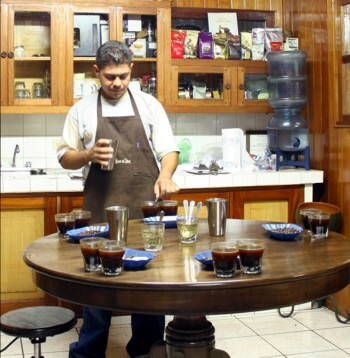 Jinotega has a fantastic facility for a coffee tasting tour. The Union de Cooperativas Agropecuarias SOPPEXCCA is in the city of Jinotega. Here, sons of the producers have become coffee tasting experts. They now provide a professional coffee tasting experience in the specially designed laboratory. The experience is available for a very reasonable price of $20 US for a group of 1 to 10 persons. You can bring your own coffee or they can provide the coffee samples for your experience. If you like their coffee, you can purchase some of it to take back home. For more information, visit their web page www.soppexcca.org/ or E-mail them at [email protected] If you enjoy a good coffee, this is certainly a must on your list of things to do in Jinotega!